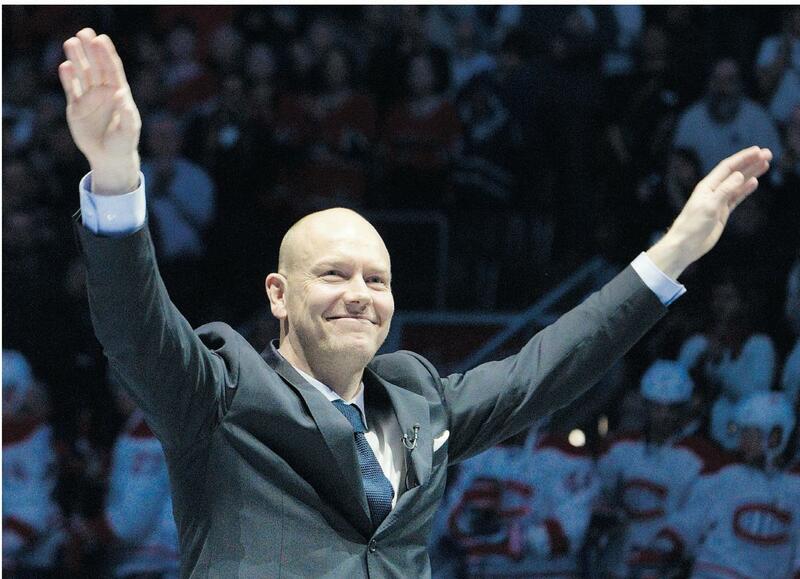 Prior to the Toronto vs Montreal hockey game this past Saturday night, the Maple Leafs organization honored one of their own as #13 Mats Sundin had his number raised to the rafters of the Air Canada Center. 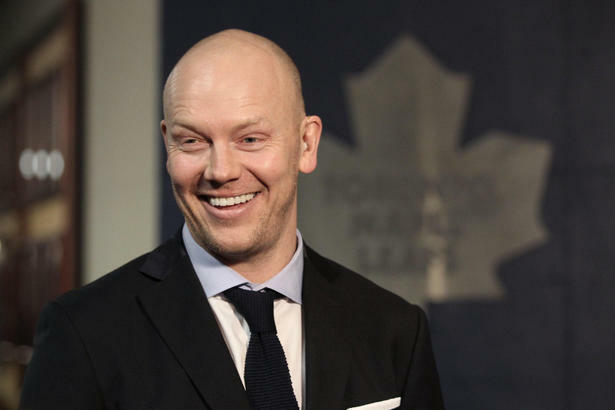 I grew up in an era of Toronto hockey that was dominated by Mats Sundin. He was the man. He was the best player we had and the face of the entire franchise. With Sundin on the roster, the Leafs were perennial playoff contenders. That’s more than we can say about any of the current crop of players. Sundin accomplished a lot during his 13-year stint with Toronto and solidified himself as one of the greatest Maple Leaf players of all-time. But can we call him the best of the best? Sundin certainly has the numbers to be in consideration for the title of greatest Leaf ever. He is the franchises all-time leader in goals scored (420) and points (987), as well as second all-time in total assists (567). He is clearly the best offensive player the team has ever had. Despite never winning a Stanley Cup, he did get close in 1999 and 2002 when he helped take the Leafs to the conference finals. Winning at least one championship in Toronto would have more than likely solidified Sundin as the greatest to ever wear the blue and white. Even though I would love to just outright name Sundin the best Leaf player ever, I can’t find it in me to do it. When I look back at the history of the franchise and some of the big hall-of-fame names that have skated for this team, it’s nearly impossible to find that one guy who I can safely say is heads and tails above everyone else. There are probably 7 or 8 players who I could legitimately make a strong case for. What about a guy like Borje Salming? Some say he was the greatest defenseman to ever play for the team. He scored 148 goals for Toronto (most for any defenseman) and is the team’s all-time leader in assists(620). 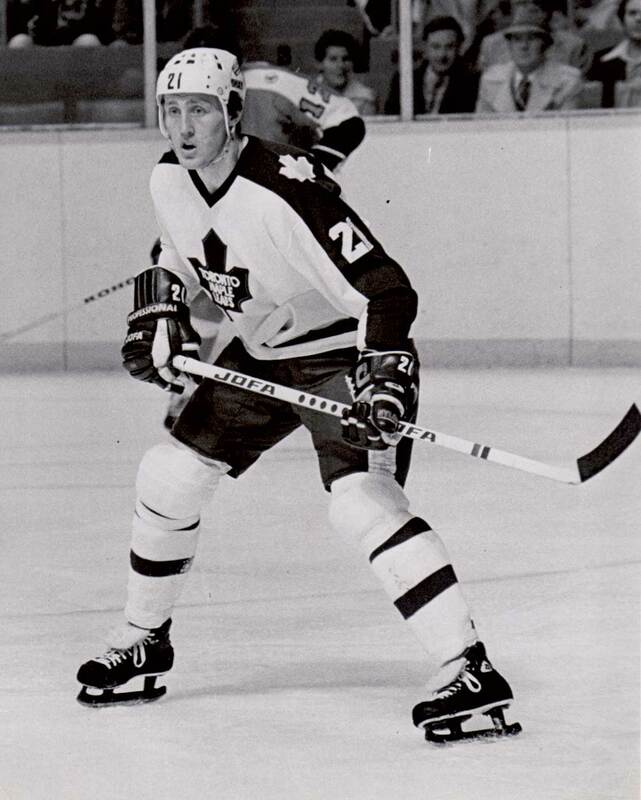 Despite a 49 game tenure with the Detroit Red Wings, Salming played nearly his entire 17 year professional career as a member of the Leafs. He became the first player of Swedish descent to ever be inducted into the Hockey Hall of Fame. Mats Sundin might not even be the greatest Swedish player to ever dawn a Leafs uniform. That distinction could belong to Salming. How about Darryl Sittler? This guy was an offensive machine. He ranks right behind Sundin in goals scored (389), points (916) and is third all-time in assists (527). That’s not even mentioning the record-setting 10 point (6 goals, 4 assists) outing he had against the Boston Bruins back in 1976. His problems with former Leafs owner Harold Ballord were infamous. Some say it was Ballord who drove Sittler out of town. Despite his disputes with Leafs management being as bad as they come, Sittler was still one of the more beloved and respected players on the roster. 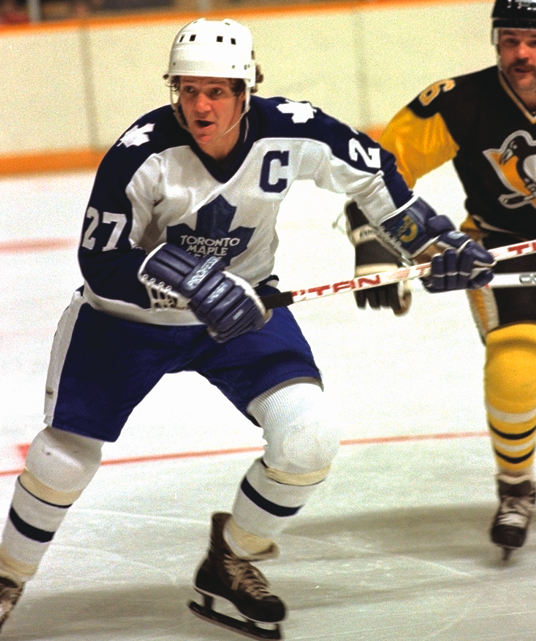 To this day, Sittler remains a favorite alumnus and ambassador of the Leafs organization. Did I even mention the numerous hall-of-famers who played during the 1960’s and won Stanley Cups for the Toronto Maple Leafs? Just look at some of these names…. This was an era when the Maple Leafs were the most dominant team in all of hockey. 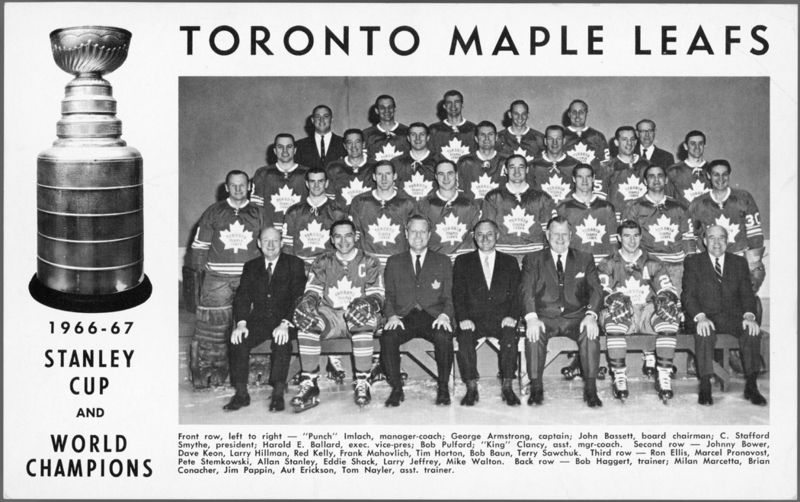 The Leafs would go on to win 4 Stanley Cups in the sixties (62, 63, 64, 67) and forever label itself as a dynasty. Players like Keon and Mahovlich were big parts of those successful teams. 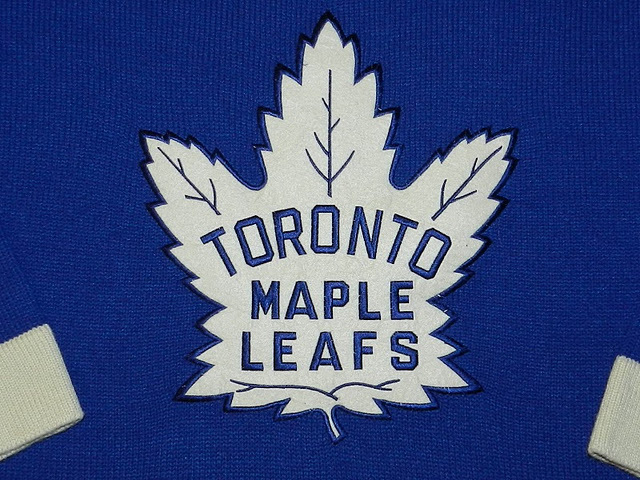 Whose to say that they couldn’t possibly be reasonable choices for the greatest Leaf of all-time. I haven’t even gotten into some of the more recent names that fans would probably know. What about a Wendel Clark or a Doug Gilmour? Maybe its a player from the forties like a Ted Kennedy. The Maple Leafs organization has had so many quality players over its history that picking just one to be the best ever is extremely difficult. 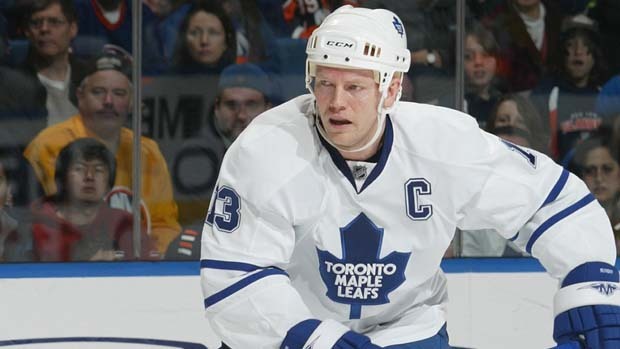 Mats Sundin could very well be the greatest player in franchise history for all we know. To be fair to all of the greats who have been a part of this storied franchise, I will play it safe and say that Sundin deserves at the very least to have his name in the discussion. What do you think? Is Sundin the greatest Leaf ever? Who do you think is the best of the best? Leave a comment below. This entry was posted in NHL and tagged Borje Salming, Canada, Darryl Sittler, Doug Gilmour, Greatest Leaf Ever, Harold Ballord, Hockey, Mats Sundin, NHL, Sports, Sweden, Tim Horton, Toronto, Toronto Maple Leafs, Wendel Clark. Bookmark the permalink. You nailed it bud, Sundin is the greatest offensive player the Leafs have ever had. But the greatest? As good as he was it’s still arguable. My dad likes that you mentioned Darryl Sittler, and he knows his stuff. My favourite has to be Wendel Clark. he could score, had heart, and would fight anyone. That fight with McSorley is legendary. As for the rest all could be given a fair shake as they all have a valid argument going for them. Keon won the most, Bower was the greatest goalie we ever had, Salming was our best defenseman. Etc… Great list man. Sundin is great but this ain’t the Raptors or Blue Jays we talking about. 13 Championships and he wasn’t part of any of them. Absolutely he was awesome but I think the Leafs history is too rich to proclaim him as the greatest.